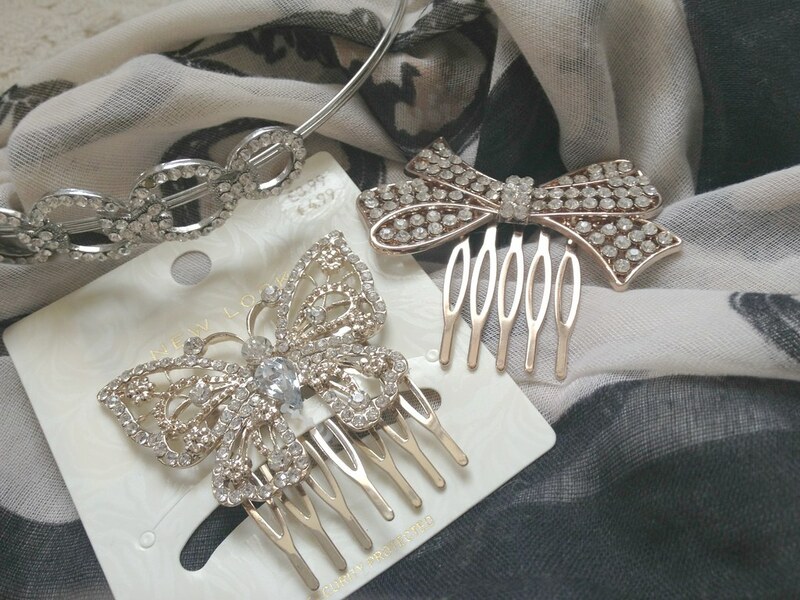 Just a quick post today but I wanted to share these beautiful hair accessories with you. I'm really falling in love with finding my girly side ready for the summer and part of this is by finding new accessories to adorn my hair with. Usually I would have passed these pretties up as the kinds of things only brides and bridesmaids wear... or small children. I love them though and have started to wear them all the time. The headband shown here was actually purchased and worn for a wedding over two years ago but has been dusted off now. I believe it was from Debenhams and wasn't particularly expensive. The slides were bought the other day from New Look for £3.99 (buy one get one free). 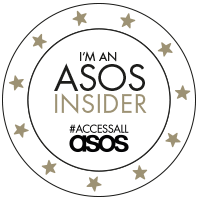 They're gold in colour with little diamantes all over. 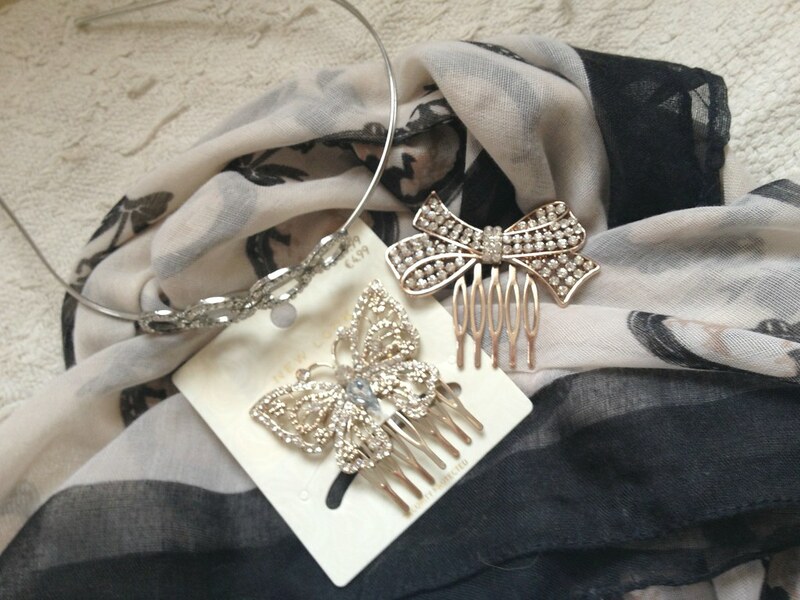 I adore the bow as it just gives a lovely girly touch to a messy bun. The butterfly is being saved for when I want something a little ornate or when I want to go all-out at the weekends. I'm becoming obsessed with finding the prettiest ones so if you know of anywhere that I should check out that sells them then please let me know. 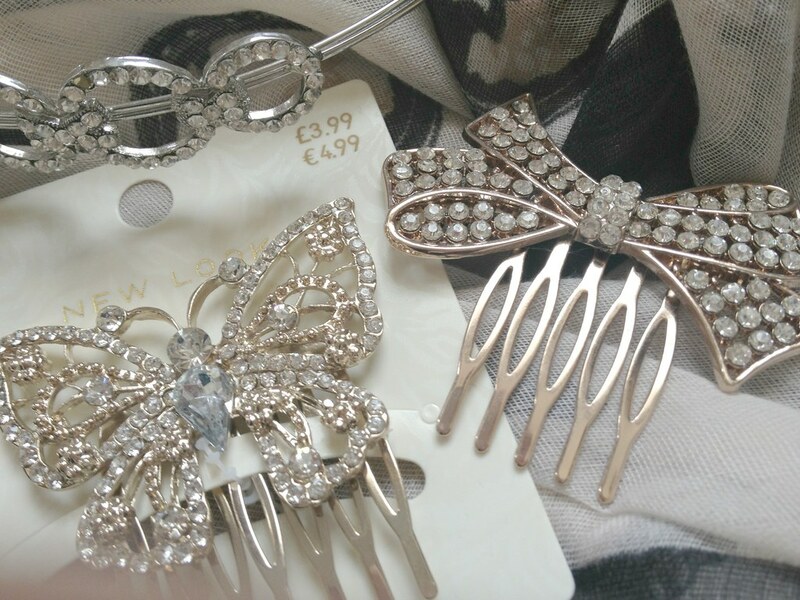 Butterfly and Bow hair slides from New Look - RRP: £3.99 each.